The ARCO Chamber Orchestra was originally founded in Russia in 1989 at the Moscow Tchaikovsky Conservatory by Levon Ambartsumian. When Mr. Ambartsumian joined the University of Georgia's School of Music faculty in In 1995, he remained the artistic director and conductor of the orchestra, moving its home base to the Hugh Hodgson School of Music, where the ensemble has now become a talented international blend of musicians. Since its creation, Ambartsumian has led UGA's ARCO Chamber Orchestra, commercially releasing 15 CDs and has performing four times in Carnegie Hall's Weill Recital Hall. 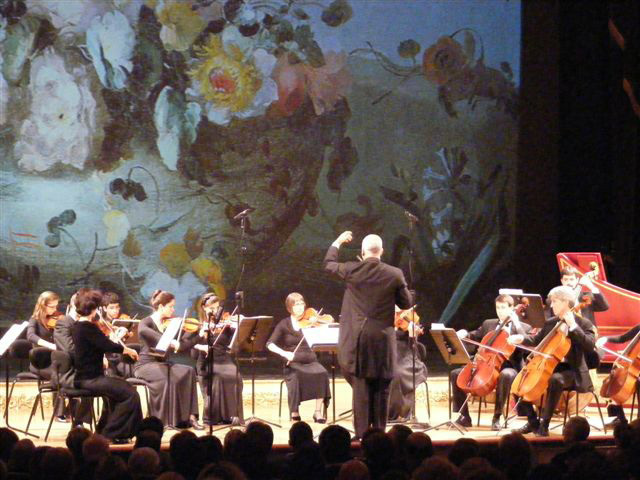 In 2011, ARCO was invited to perform at La Fenice, the world famous Opera House in Venice, Italy.